We can never be fully prepared for the death of a family member. Nothing anyone could ever say can reduce the grief, or the feeling of loneliness that is an inevitable part of the grieving process. We know you're feeling a deep sense of loss, and wondering if there is anything you can do that will ease your pain. We have learned from the many families we have served, that there is something, concrete and positive, that you can do. A gesture of love and concern for your family can go a long way towards helping start the healing process. We would encourage you to consider giving an important gift to your family, the gift of peace of mind. 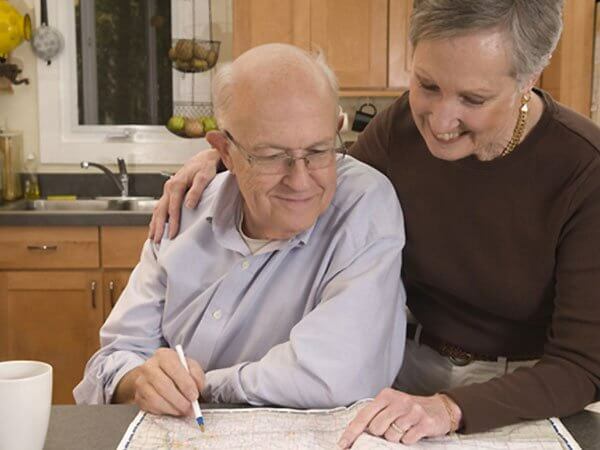 By providing for your final expenses in advance, you'll be removing a tremendous burden from your loved ones. We have worked with families as they try to make funeral arrangements, and have seen the uncertainty and stress that can accompany the decision making process. As you have recently experienced, planning ahead can make it easier for your family, and give you the confidence of knowing you've done all you can. Funeral prearrangements are the simplest way of ensuring that all of your funeral wishes will be honored. These arrangements can be either pre-paid with all your wishes included or set up as information only. All our prepaid preneeds are guaranteed in writing, and placed in a trust account with a well known bank. We honor Pre Arrangements from other firms. Times and circumstances change and one of the valuable components of prearranged funerals are that they are transferable to other funeral homes. So if you no longer feel comfortable with the funeral home you have your arrangements with for any reason, you need to know that those arrangements can and should be transferred to a firm that you'd like to use. As the funeral providers serving our community have changed (some from family concerns to corporate entities) and others have relied on the habits of repeat business, and don't feel the need to earn your trust at each service; remember, you have the flexibility and the right to change your mind. This includes prearrangements that have been made at our firm. We feel if we are not earning your trust each time we serve your family then we are not living up to our commitment to providing the best level of service, and are not worthy of your continued business. We are committed to helping your family get through one of the toughest times they will experience and hopefully leave them with many fond memories. Please let us know if we can assist you in any of your pre arrangement needs, from starting them, updating them, or transferring them.Call us at 1-406-752-0336, or see below for our online form.